If Target's are selecting their own Raters you can set a minimum and maximum amount of Raters allowed for each relationship group in your project. If Targets are required to finalize their list or submit the list to an Auditor, the minimum will have to be met for each group. For instructions on configuring your project so that Targets can select their own Raters please click here. From the drop-down menu, select Setup >> Relationship Groups. 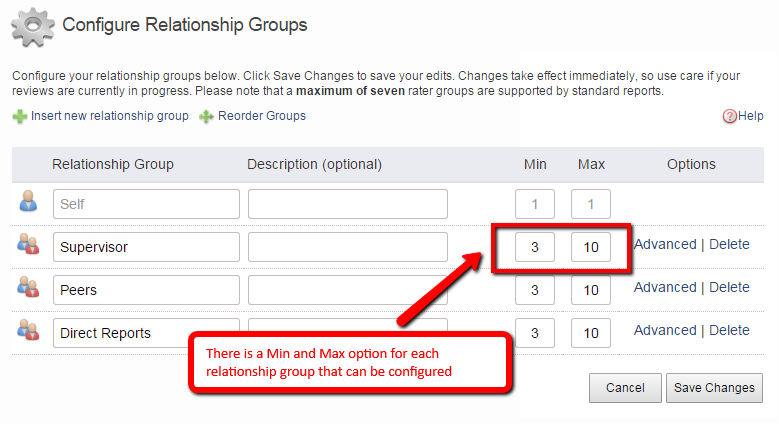 There is a Min and Max option for each relationship group that can be configured. Click Save Settings at the bottom of the pop-up window. 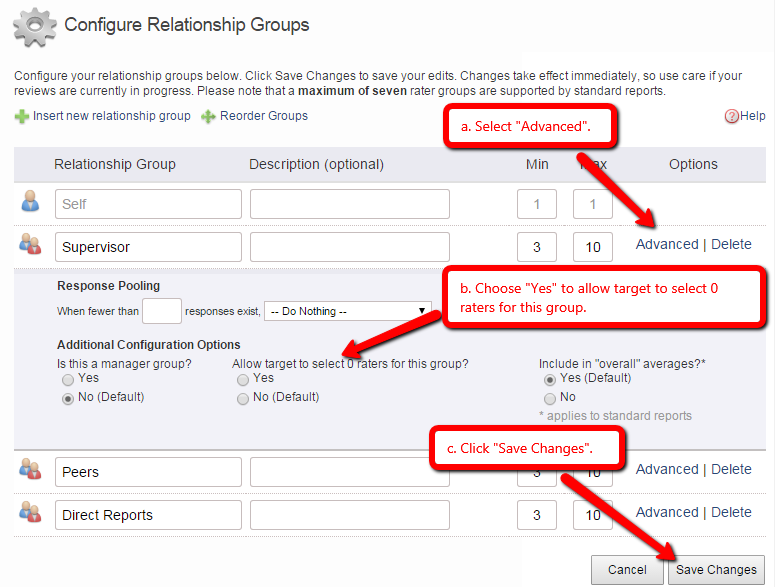 ***If you would like to allow zero raters to be selected for any group you can turn this option on by clicking "Advanced" to the right of the relationship group name. Once a rater is entered into a group that allows zero, the minimum for that target is set back to the minimum you designated for that group.